As classic rock became the defining sound of the mid-1960s and early 1970s, the fascination of bands such as The Beatles and The Rolling Stones with India is part of music history. From the sitar of maestro Ravi Shankar, to the mysticism of Maharishi Mahesh Yogi and Meher Baba, a range of diverse musicians from George Harrison to Brian Jones to Pete Townshend found themselves attracted to the mysterious vibes of a famous culture. Far less is known about the thriving local rock scene (in large cities such as Bombay and Calcutta) into which Robert Plant and Jimmy Page of Led Zeppelin stumbled onto in the early 1970s. 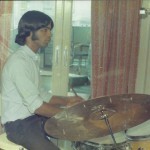 Their impromptu live jam in 1972 with local musicians at the Slip Disc club in south Bombay is now part of rock legend. 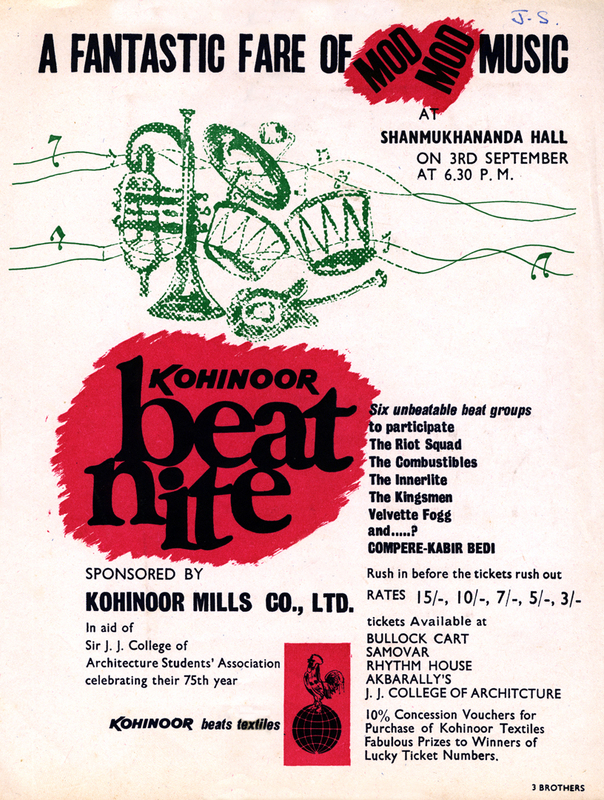 It was this surprisingly active live music scene that The Combustibles were an integral part of and well-known as the Bombay representatives at the first and second editions of the national Simla Beat Contest (sponsored by Imperial Tobacco Company-ITC) in December 1968 & 1969. 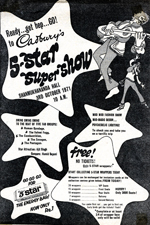 During that time many Indian bands thrived on playing covers of classic hits, but The Combustibles were unique in also featuring multiple original compositions in their live performances. Driven by the creativity of song-writer/vocalist Everett Perry, songs such as Watch Her, Some Peace of Mind, There’s A Love, Hey Doc and Cold December became a staple of the band’s set-list. The music of The Combustibles is now seeing the light of day again after four decades due to the commitment and perseverance of the CEO and Founder of Harkit Records, Michael Fishberg. 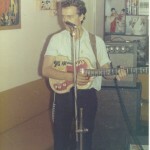 Having heard the music of the in a record store in Stockholm, Mr. Fishberg – a long time visitor to India – began a two year long effort to locate members of the band and access the best available vinyl copies of the original releases (as the master recordings had long since become unavailable even to the band). Following the re-mastering of the original recordings of Watch Her & Some Peace of Mind, the final step was acceptance of the releases by the organizers of Record Store Day, a process that was only completed in mid-March 2013. 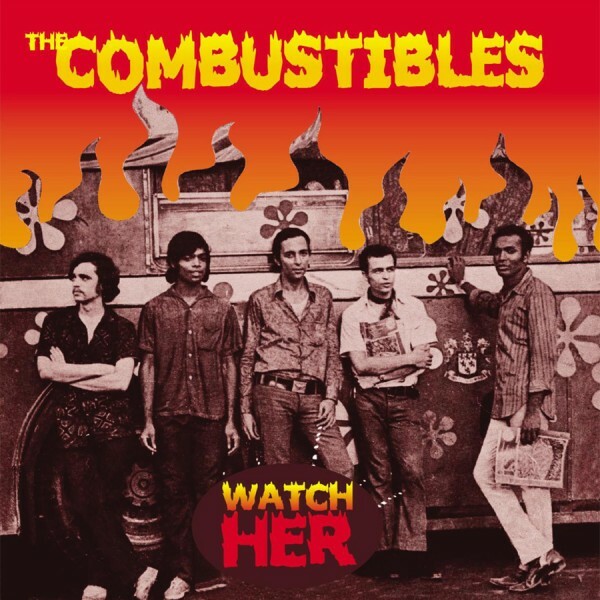 Given the limited availability of vinyl pressing plants, the actual release of The Combustibles 45 rpm was moved from RSD April 20, 2013, to July 5, 2013. 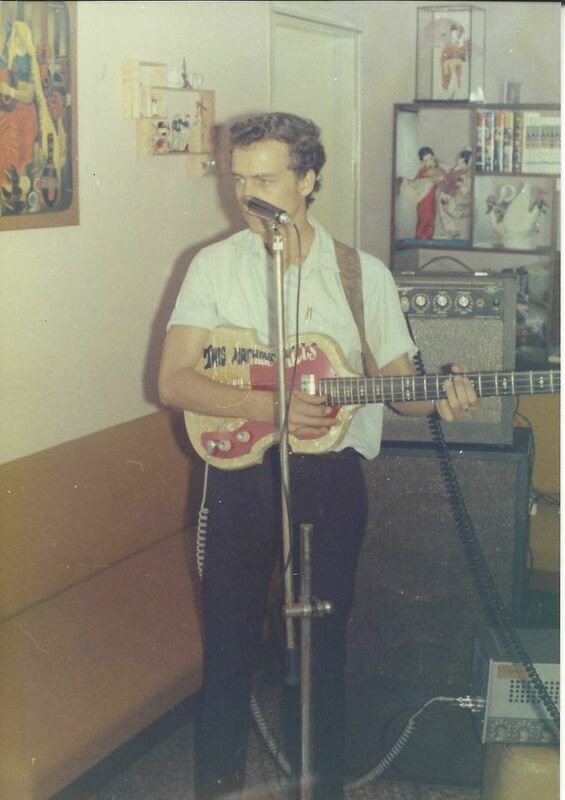 Bombay’s fledgling rock bands had very limited access to the latest music during that time. TV was non-existent, local radio was Government-owned, and pop-music on short-wave radio (BBC and Radio Ceylon) was available only for limited periods of time daily for those with the patience to keep fiddling with the tuning dial! The only Indian record company, HMV, released a fair bit of 45 rpm hits, but major rock albums were almost impossible to come by from local sources. That left the music played in clubs, and LPs which were brought into India by foreigners and Indians returning from abroad. It was when the Ezekiel family – and brother David in particular – returned to India in late 1969 that the entire rock catalogue from that time became available – down to Iron Butterfly and Buffalo Springfield, and everything in between! The Combustibles practiced regularly at the Taylor family home and on the terrace of a three story building by the Western Railway tracks in Bandra (free concerts were guaranteed for neighbors until the regular suburban trains passed by!) 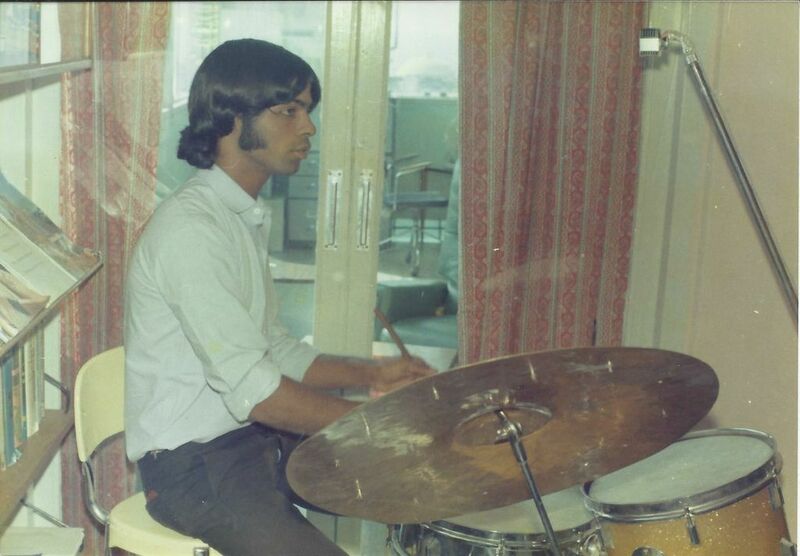 But for them and numerous other Bombay bands, the Ezekiel residence at Peacock Palace on Warden Road (right opposite the U.S. consulate) became the place to be. Looking back it was an incredibly invigorating time – musicians of all kinds were in and out of the apartment at all times of day and night. 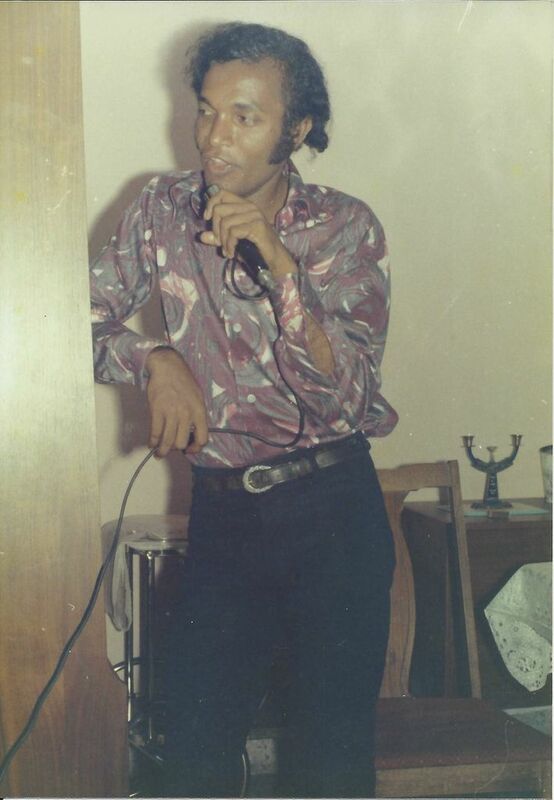 That led, a while later to the re-formation of Velvette Fogg, the other leading band in the extended Ezekiel family – with cousin Nandu Bhende handling the vocals and David on bass. It was exhilarating, two of Bombay’s most recognized rock bands sampling the same record collection. 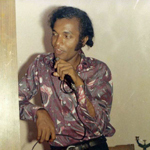 Nandu went on to become a long-run star on the Bombay music scene, from fronting a number of famous rock bands to starring as Judas in Jesus Christ Superstar. He became perhaps the only one from that time to have made music his life’s business – down to today when he still performs and owns InSync Studios. 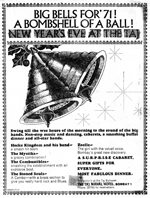 The active commercial metropolis and cultural center that was Bombay gave The Combustibles numerous locations and opportunities to perform – including regularly at clubs and discos such as Blow-Up (at the Taj Mahal Hotel), Hell (at the Hotel Hiltop), The Other Room (at The Ambassador Hotel), Blue Nile, Bullock Cart and The Talk of The Town. 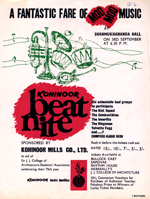 The band played on a regular basis at major rock concerts and competitions held at Shanmukhanda Hall – a superb location with the best acoustics in the city and a capacity of about 3000. 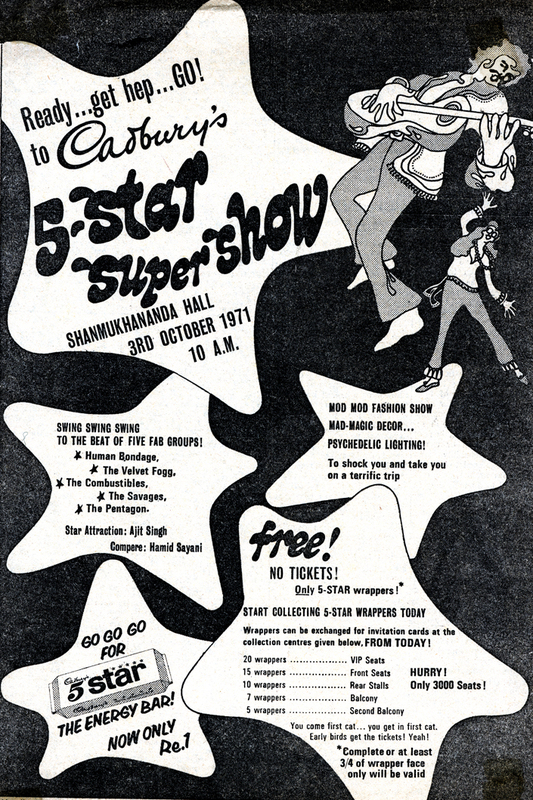 Many of these concerts – as is the case with the mega-rock tours of today – were sponsored by major corporations such as Imperial Tobacco Company, Cadbury’s, Coke, Kohinoor Mills and Bombay Dyeing. 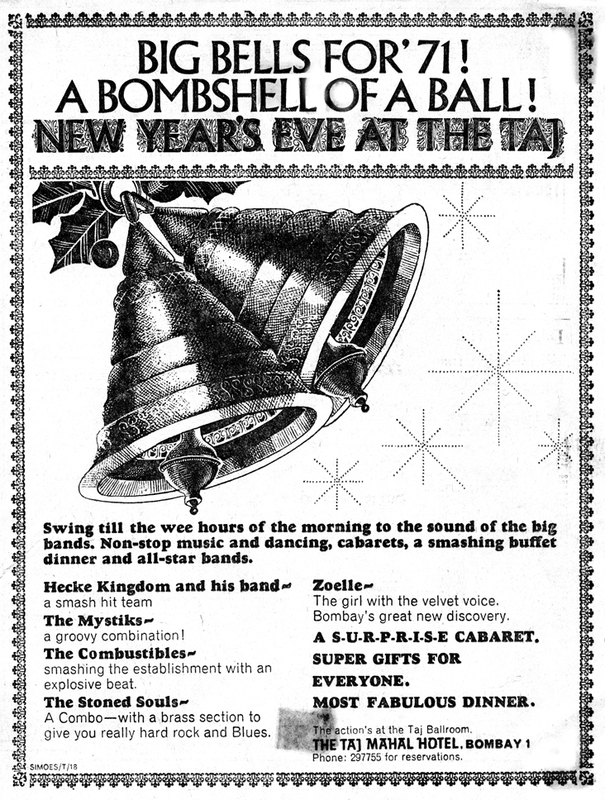 The Combustibles featured at almost all major New Year’s events and dances, including a large New Year’s Eve event at the Cooperage Soccer Ground in 1971 with about 6000 in attendance, and were a regular fixture at most major social events in Bombay including the Sea Cadet Ball and the Navy Ball – the latter particularly memorable for the year when a band from a visiting U.S. Navy cruiser also performed. A version of Fire by Jimi Hendrix that they played that night still stands out in the memory!